If you’re bored or tired of typical buffalo wings, here is a delightful twist on traditional wings. My Teriyaki Turkey Wings will make your mouth water. I was walking through the grocery store hunting for meat. With my shopping cart in hand I slowly crawled through the aisles looking for my prey. I quietly approached the poultry section without my prey noticing. I was aiming towards chicken and then I saw a glimpse of the big one! I approached cautiously hoping no one would notice and grab it before I could. One package of giant wings lay before me. The thought of turkey wings took over my mind and I went all in. I grabbed the parcel and immediately dashed for the cash register, grinning ear to ear. I arrived home with my prized possession and proceeded to make my new favourite crispy baked turkey wing recipe, Teriyaki Turkey Wings. I hope you like it! Place the turkey wings in a glass baking dish and sprinkle salt and pepper all over the wings. Rub the coconut palm sugar over the wings. Pour the coconut amino acids over the wings. Bake for 45 minutes turning wings at least once. You can make this with chicken wings. Use 3-4 whole chicken wings cut up (3-4 drum stick parts, 3-4 wing parts). 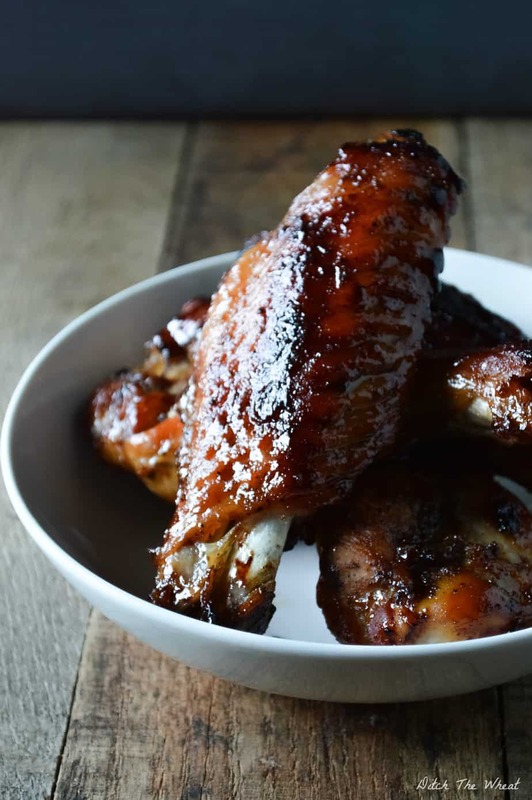 My baked turkey wings are tender already when bake them for 45 minutes. If you want them to fall off the bone like ribs then you can change the oven temperature from 425 deg. to 300 deg. and try slowly baking them for at least an hour and a half. Check the meat for doneness my cutting into it, if the juices are clear it is done, if the juices are pink and the bone is still a little pink then it needs more time. It’s an alternative I use for soy sauce. Coconut aminos are made from coconuts and taste just like soy sauce. Soy sauce often contains gluten unless you buy a specifically labeled gluten-free soy sauce bottle. 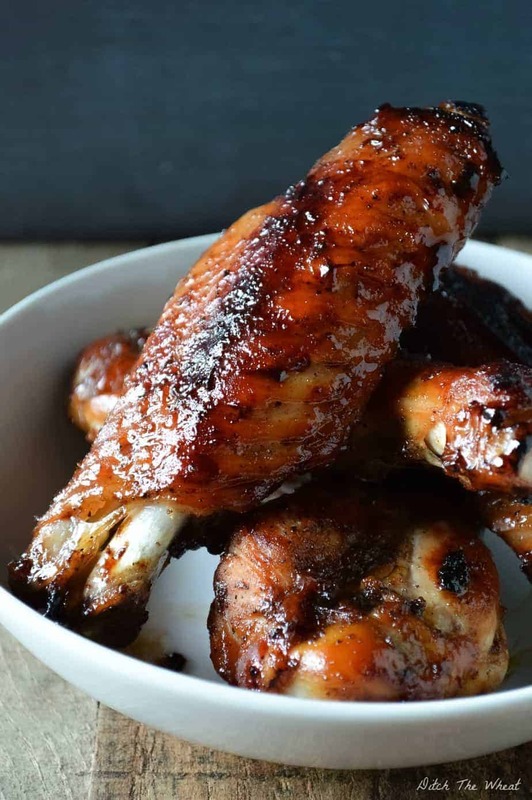 You can use this recipe to make teriyaki chicken wings. Use 3-4 whole chicken wings cut up (3-4 drum stick parts, 3-4 wing parts). 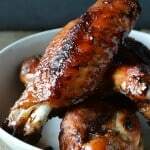 I found your site a few weeks ago and finally made this last night with regular chicken wings. It was by far the easiest and yummiest wings I’ve made in a while!